What LEGENDARY players do you have, and HOW did you get them??? Discussion in 'General Discussions' started by Shipwrecksos, Nov 1, 2016. 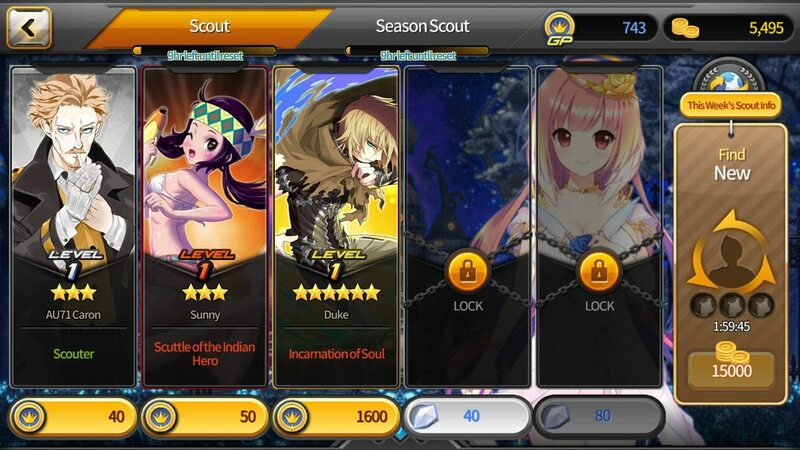 Seeing that the game has been out for several years now, I was wondering what all legendary players people have been able to obtain at this point, and HOW they actually got them (scouting, DS store, premium tickets, rare draw, free level up rewards, etc.) What LEGENDARY players do you have, and HOW were you able to get them? NOTE: I'm only talking about legendaries on your current / primary account (not legendaries you got by or making "ALT" accounts, or "re-rolling"). Also, if you've ST'd them into another card, or for whatever reason, no longer have them, still feel free to list them, but ONLY from your current account. What about you fellas (and ladies)? Any luck with legendaries on your end??? One and only Duke husbando from rank 30. I'm gunning on getting Jiho right now, my wishlist is simple : Jiho, Serestia, Shu, Choi (I guess you figured why by now). + 1800 Dm just wating for new L D legends to come out legend HYYYYPPPPEEEEE ! Vonchi from a premium ticket. Vonchi again right after the first one from a mileage draw. I heard one guy got a legendary from a maintenance reward, lol! Niiice! Hey, whatever gets the job done, right? Metatron on lv30 and that's it. Shu for level 30, was pretty pissed after realizing I should have rerolled another main. Had a one-and-a-half year dry spell before I decided to splash for the expert package (would take me to 900 d-stones). What happened after that was an amazing week.